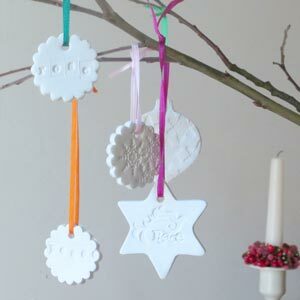 Looking for easy Christmas craft ideas? 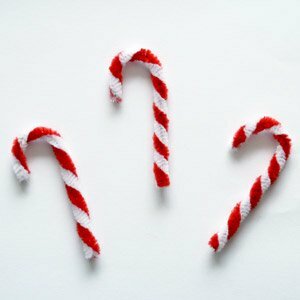 We have lots of step-by-step tutorials for how to make fun and festive crafts for this holiday season. 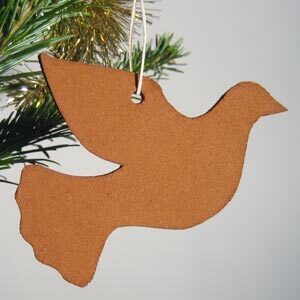 We love making Christmas decorations, ornaments, and crafts. 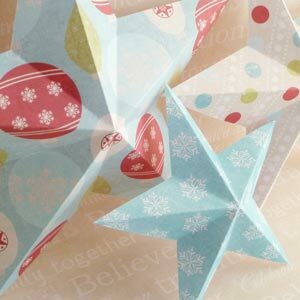 Some of our most popular pages on our site are our Christmas craft tutorials, and we're sure you'll enjoy them too. 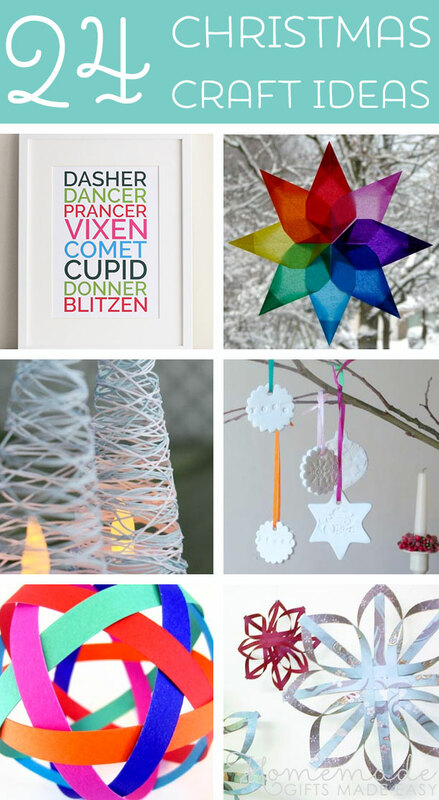 Here is a collage of some of our favorites, and be sure to scroll down to see links to all our Christmas craft projects. 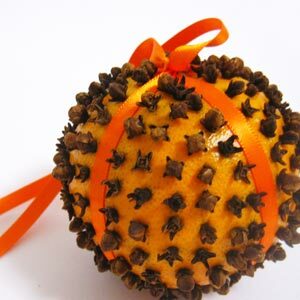 These beautiful ornaments will look lovely around your house, and the clove oranges and cinnamon dough ornaments will make your house smell of "Christmas" too! 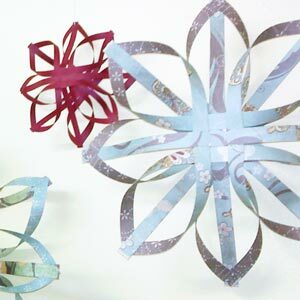 I love star decorations at Christmas-time, and these starry Christmas craft ideas are beautiful. 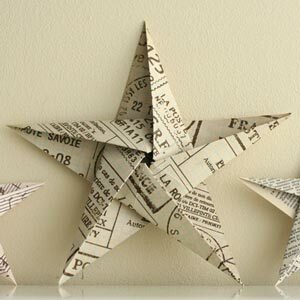 And perfect for those of you who like paper-crafts. 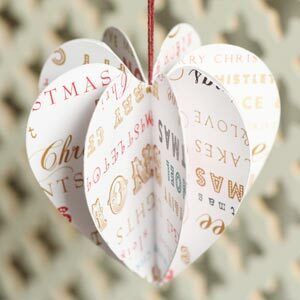 If you're looking for Christmas ornaments to make for your home, these next Christmas craft ideas are for you. 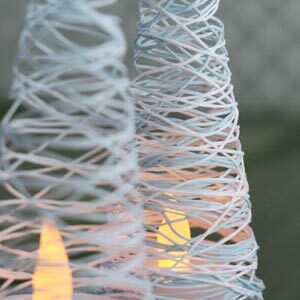 The string trees are very delicate and beautiful (not so compatible with children or pets!! 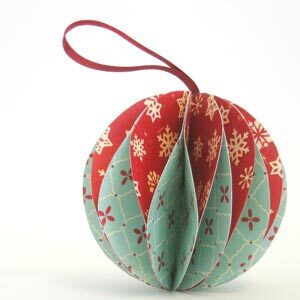 ), and the paper ornaments are stunning. 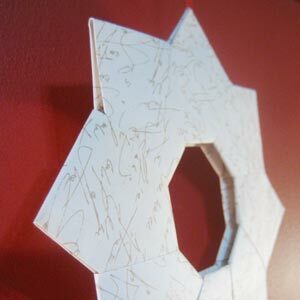 These origami calendars are unique and a quick craft to make. 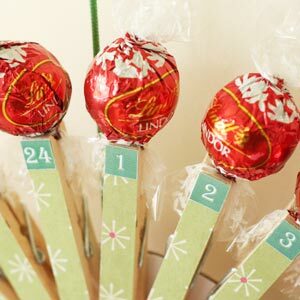 I love the peg wreath with chocolates around it, but it's hard to not eat the chocolates all at once... or is that just me? 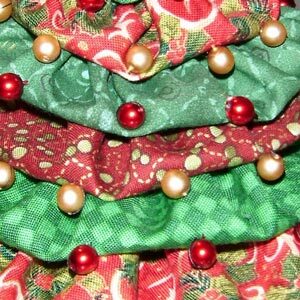 And the homemade Christmas tree craft is easy to make too, just using up fabric from your stash, and you can bring it out year after year. 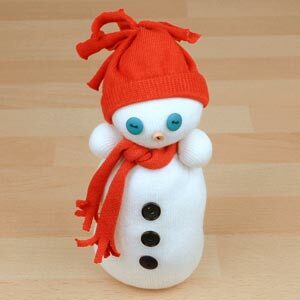 These snowman crafts are just the cutest!! 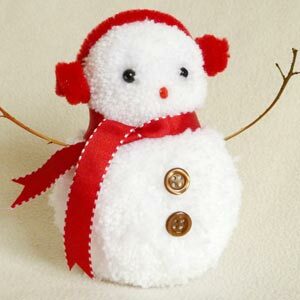 Very simple to make from pom poms or old socks, they look so sweet and festive! 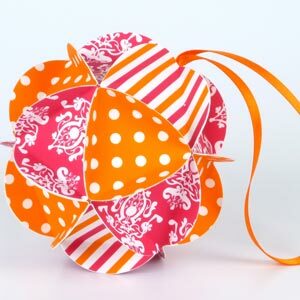 And are great for keeping children busy in the holidays too! 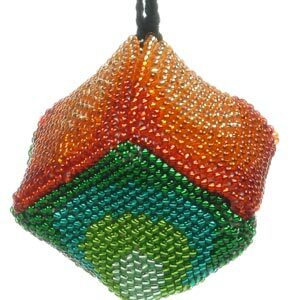 My friend Helen made these beaded ornaments and they look stunning on her tree. 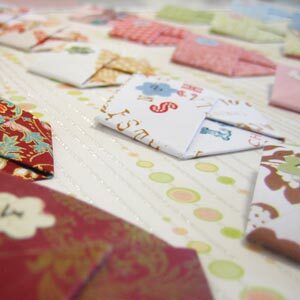 They are more time-consuming to make, but if you like that sort of thing then do check out her step-by-step tutorial. Our free Christmas poster downloads are sure to bring a festive touch to your home and help to get you in the Christmas spirit, plus they just look gorgeous! 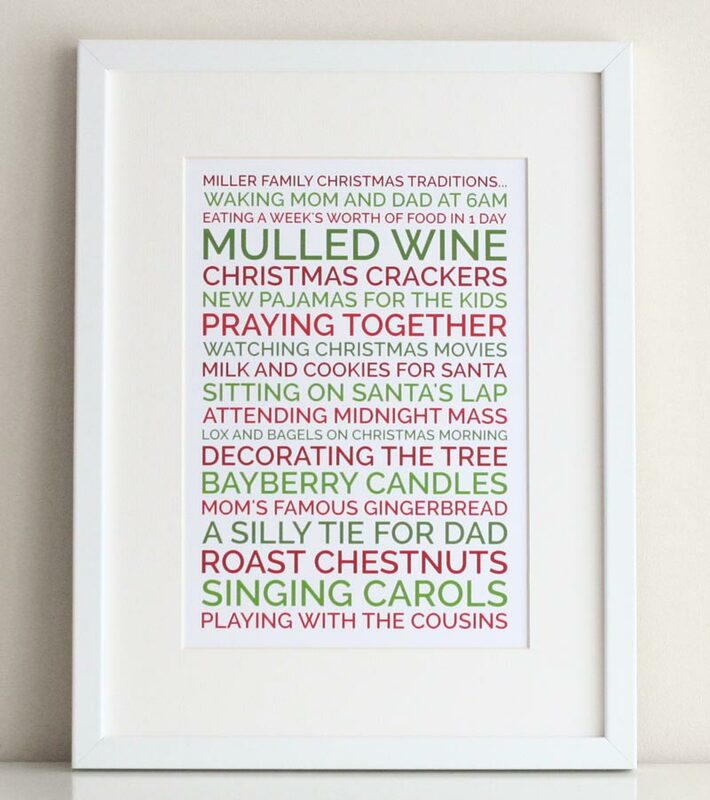 And you can make a gorgeous personalized Christmas word-art poster to celebrate your family's Christmas traditions and bring that warm fuzzy feeling into your home this winter. Making your poster is easy using our subway-art poster generator, and we have lots of ideas to get you started. We have lovely Christmas-themed color palettes to choose from, and the poster generator is so easy to use that you can personalize your poster in just minutes! 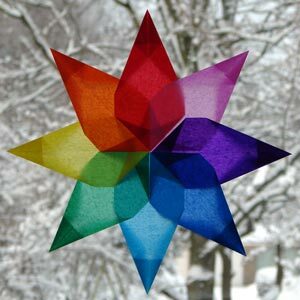 If you want more Christmas craft idea inspiration, check out our Homemade Christmas Ornaments page for even more ideas. 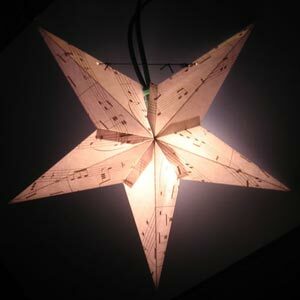 And if you're looking for festive homemade gift ideas, check out our homemade Christmas Gift ideas page. For last-minute and inexpensive Christmas gift ideas, we have a huge range of personalizable posters you can personalize and print at home. 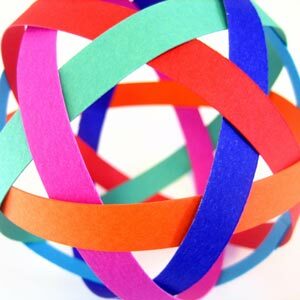 They are super popular and so thoughtful, and no-one will believe you made it yourself in 5 minutes at home! 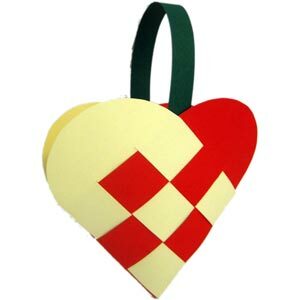 Check out our complete range of personalizable gifts here.